Piece Of Mind is 30 years old, believe it or not! May 16, 1983 saw the release of Piece Of Mind. The first Iron Maiden album to feature drummer Nicko McBrain, it was also the first that saw the band set out on a headlining tour of North America. The single Flight Of Icarus is still one of Maiden’s biggest chart successes, and the follow-up single The Trooper has only been absent from 2 of Maiden’s tours since. 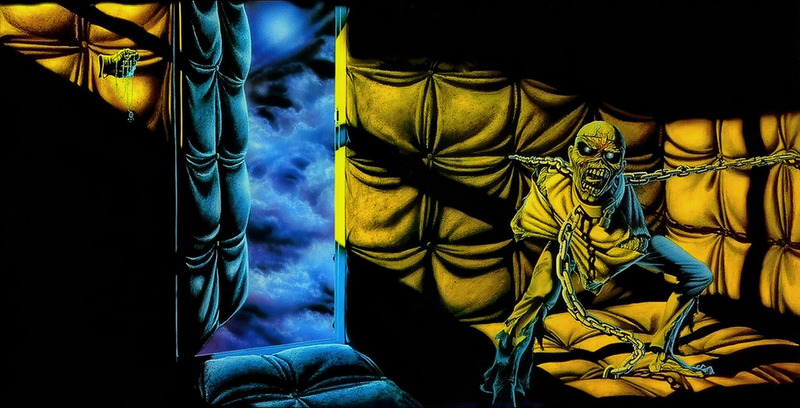 Maiden fans have 15 studio albums to argue about when it comes to picking a favorite, but it’s safe to say that Piece Of Mind will top many lists and rarely be far down others. It’s a ridiculously great album! The Piece Of Mind line-up finds the quality of material on their new album utterly ridiculous. 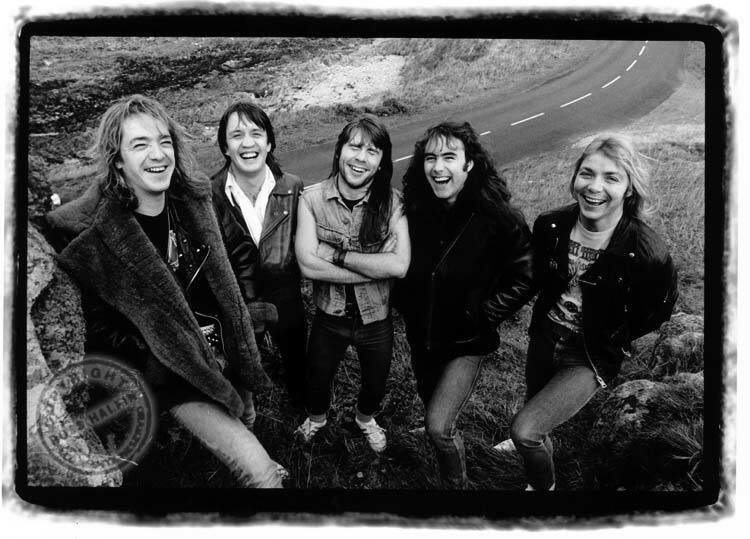 Left to right: Adrian Smith, Nicko McBrain, Bruce Dickinson, Steve Harris, Dave Murray. We’ve praised the record earlier in this retro review, hailing it as an absolute masterpiece. We could add – not just in Maiden’s catalog, but in the history of hard rock and metal. Sure we’re biased, but how many bands have made such an unbelievable record in their career? As the Piece Of Mind album was re-released on vinyl picture disc last year, we took the opportunity to celebrate the coming of both McBrain and singer Bruce Dickinson to the band in an article in our Feature Friday series. Happy anniversary, Piece Of Mind! A reblogué ceci sur SERGULA.